In this article though I'll show you why despite this - it's a great skill to have and a great training method to be comfortable with. I’m a big believer in Isometrics. In fact, that’s the only way I train any more. 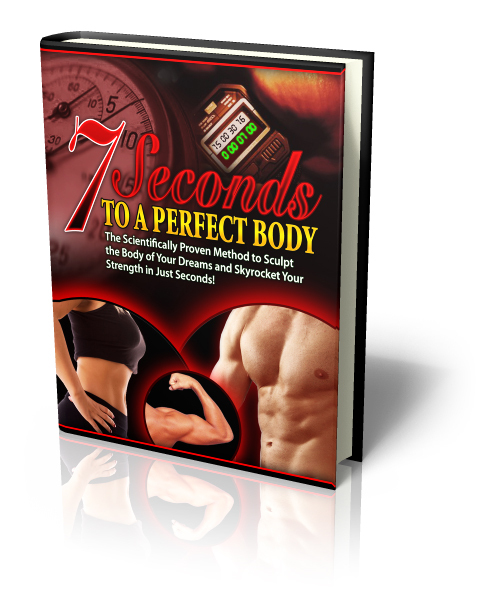 However, while many people produced extremely impressive results using the Perfect Body Program I devised, there were a few who did not. This did not sit well with me. While training with this exceptionally strong athlete, I was explaining the nature of isometrics and decided to demonstrate this on a bench press. I racked up her personal best, her record lift and placed it in my strongest range. Now, this kind of sounds like the Matrix, but bear with me - I did not, when going to press this incredible weight think about pushing the bar up. Instead I focused on contracting the muscles of my chest, my pectorals. I simply isolated and contracted the muscle and I focused on contracting and pulling my triceps tense. I focused on isometrically contracting the muscle – only this, not pushing the weight, not moving the bar, not how heavy it was, just contracting the muscle. Viola, the impossible-to-move bar, moved and shot up effortlessly. This was a common thing for me and for my clients, so I thought nothing of it. The athlete in question on the other hand was shocked. Moments later I was shocked when they attempted the same feat and could not move it. At all. And it dawned on me – despite the fact that the athlete can press enormous weight, they can’t actually contract their muscles correctly. It’s like being able to sing a beautiful ballad in Italian or Japanese without knowing a damn word of the language. You can learn and sing the song, but you can’t say something as basic as hello. Many people don’t know how to contract their muscles voluntarily. Those that can isolate and contract their muscles achieve excellent results – those that can’t achieve only the standard. The second problem I faced was that of my advanced trainees. Those that followed Perfect Body to the letter and had made dramatic changes to their physique and strength, but wanted to go beyond this. They wanted to test themselves and improve more. Teach a progressive system of contraction. And the KEY TO THIS IS BODYWEIGHT TRAINING! I am not a fan of weight lifting or even bodyweight training as covered previously....by and large. Sure it's great fun but it’s not efficient and often dangerous. Unfortunately however, it is, I am coming to understand, bodyweight exercises are among the best ways to teach people very efficient isometrics. You have to consciously take the body through a range of movement in order to feel how a particular muscle works and which muscle is being used. The big problem with bodyweight training is that it became about how many reps you can do, how difficult you can make it - NOT about using it as tool to learn about the muscles and how they contract. That’s ALL you need Bodyweight Exercise for; to learn and educate our bodies about the muscles we use. When you've got to push or pull your bodyweight, don’t think about the reps – THINK ABOUT CONTRACTING THE TARGET MUSCLES. If you do this, then you will move all by yourself. The "move" is NOT IMPORTANT, the contraction of your muscles is. There are some other factors that are crucial to effective and safe bodyweight training - if you want to know them check out Perfect Body, Project Dragon, Isometric Mastery.